The BBC announced today that the 11th Doctor will be British Actor Matt Smith. He will replace David Tennant who will leave Doctor Who after four special episodes in 2009. Smith did not go to Drama school but was a former member of the National Youth Theatre. His performance in The Master and Margarita secured him an agent leading on to his first professional performance in Fresh Kills opposite Christian Slater . Further roles came as he appeared in On the Shore of the Wide World before then moving on with co-stars Thomas Morrison and Steven Webb to Alan Bennet‘s History Boys. After History Boys he moved into television appearing in the BBC adaptations of The Ruby In The Smoke and The Shadow in the North alongside Billie Piper, then as Danny Foster in the BBC TV series Party Animals. In January 2009, his casting was announced as the Eleventh Doctor in the long running BBC science fiction series Doctor Who, taking over from David Tennant in 2010. It’s interesting to see what he has worked with Doctor Who alumni Billie Piper several times in the past. 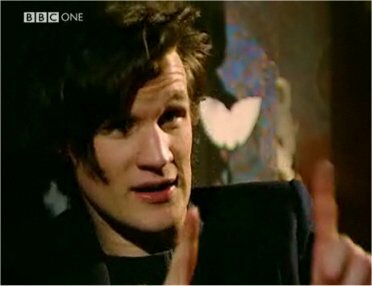 Matt Smith said of his new role “I’m just so excited about the journey that is in front of me. It’s a wonderful privilege and challenge that I hope I will thrive on. I feel proud and honoured to have been given this opportunity to join a team of people that has worked so tirelessly to make the show so thrilling. See the BBC press release. This entry was posted in Sci Fi by Ken. Bookmark the permalink.